As a digital artist we all know that there are many..MANY different programs that we can use. What's good or bad about each one of them? I'll tell you my personal experience on the goods and bads of the programs I've used. Photoshop is definitely one of the best software's out there that a digital artist can use. Many of the artists I know and follow swear by it. 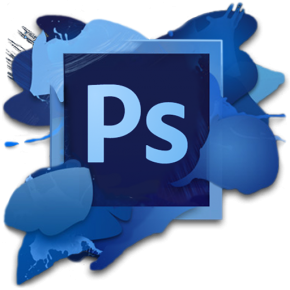 For those who don't know the program, Photoshop is a great program to do pretty much everything when it comes to digital painting, editing, quick animation, or image manipulation.This is a program that is mostly used in the game/film/animation industry. If taught (or self taught) the right techniques you can do so much and your skills as an artist can go in so many different directions. Well, it's not too hard to learn how to use Photoshop. There are many tutorials, an walkthroughs online as well as the in program help and directions. This is a program you will most likely use in the industry, so it's good to learn it and be proficient at it. Photoshop can allow you to do almost anything. This is a very diverse program that allows the user to do a variety or things in many different ways. the brushes are customizable and even allow you to create your own. In my personal experience, with this program there isn't much wrong with it. The major downside to this program is that it's expensive. The different, more affordable versions of Photoshop, like Elements, you get when buying a tablet have a limited amount of tools you can use compared to the more expensive full version. Personally I've found it difficult to customize the brushes to exactly what I want them to do. The blending tools are limited and sometimes make it difficult to make the tool have the effect you want. Since there is so much that you can do with this program, you're going to have to do a lot of research or learn in your classes how to use some of the more difficult or specific tools. So what do I do and what do I recommend? I highly recommend that any aspiring artist get this program! It's great for doing any kind of art and you will eventually use it in the industry. I personally use Photoshop for most if not all of my game/school projects and use it as a final step when doing my personal art.